The creators of the Resource Based Economy concept, Jacque Fresco and his partner Roxanne Meadows. The movement initially started with the release of the film Zeitgeist Addendum which was created by Peter Joseph. The movement has approximately 500,000 active members and it's activism focuses on explaining the RBE and helping change peoples mindset and values. The RBE Foundation (RBEF), was created to gather the resources and project management expertise which will be required when undertaking some of the larger projects which will be required to transition to a Resource Based Economy. Partially due to the fact they were collecting money (one of the many resources which will be required) there was previously a falling out with the Zeitgeist Movement, however they have a strong interest in collaborating with other groups. This is about quickly getting to the heart of one of the RBE concepts. No longer needing money. A simple and quick way to explain some of the ideas and get people to indicate their interest. 12 hours of documentary. A comprehensive set of RBE advocating online video materials which work together. The European Organisation for Sustainability (EOS) is an autonomous research organization comprised of volunteer members from around the world. It was founded in 2005 and is registered as a non-profit association in Umea, Sweden. To investigate unconventional socio-economic and political paradigms, employing scientific methodology as the prime tool. To allow a community for the critical examination and development of the underlying philosophy of present potentially new social, economic and political paradigms. To perform the aforementioned in light of the contemporary challenges of energy availability, climate change, aging population, health and economic disparity. To elucidate means of socially, economically and technically implementing sustainable reforms in a practical and realistic manner. NB : Description taken from Technate. The Atlas City Project is a planned community living in a transitonal RBE (Resource Based Economy) to be built in America as a transitional conception of the ideas proposed by Jacque Fresco of the Venus Project. Project members are currently active working on the manual that will be implemented to build a city that doesn't use money, and make Atlas City a reality. This project invites open source community volunteer involvement, if you are inspired you can learn about our mission and get involved to support this project. All planning will be contained in the manual which will be completed before attempting to implement it. Expertise from all necessary disciplines will be required to ensure we have a sound implementation plan and are well represented in the ACP manual. We do need your help, please get involved! WE is founded on the idea that we can achieve all we need using non-destructive methods and technologies. Non-destruction is deeply rooted in human being. If you've read this far then I have a question. 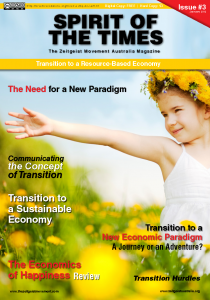 What do you think about using the term "Sustainable Abundance" instead of Resource Based Economy? No two cities will be alike, so if your people like it, be the leader they are looking for, show them how to live. Its a nice name, i would go there. As it is, I would prefer the term RBE as an overall umbrella because it has been in use for some time, and by now there are quite a number of people who have been exposed to the name and the ideas/concepts behind it. The “Economy’ part however, needs to be very clearly defined and stressed, as the term is commonly strongly associated with the monetary and work force part of the system. We need to reclaim the original Greek meaning of the word which refers to “household”. To me a household isn’t just about dollars and cents and who brings in the income; it means taking care of all the needs , physical, emotional, social, etc. of the household members, and a RBE represents a global household that takes care of all its member within the resource capacity of the Earth. In a sense , the global and national “economic” inequalities are matched by inequalities within “domestic” households, where a lot of unpaid and undervalued work (not counted and incl. in GDP) is mostly performed by women. The latter is just one more reason for me to support a RBE or whatever name we may call such an arrangement in the future. Thanks Tamara. A great comment. I agree that the definition of economics needs to be redefined and broadened. Great list! Thanks for compiling. I’d be pretty sure that The Venus Project would not be impressed by this list, and would not like any of these organisations promoting and “corrupting” what they believe is their idea. So good job then, that we now have a choice! don’t you think that a such “opinion” is not what we should out post, as an educated being?